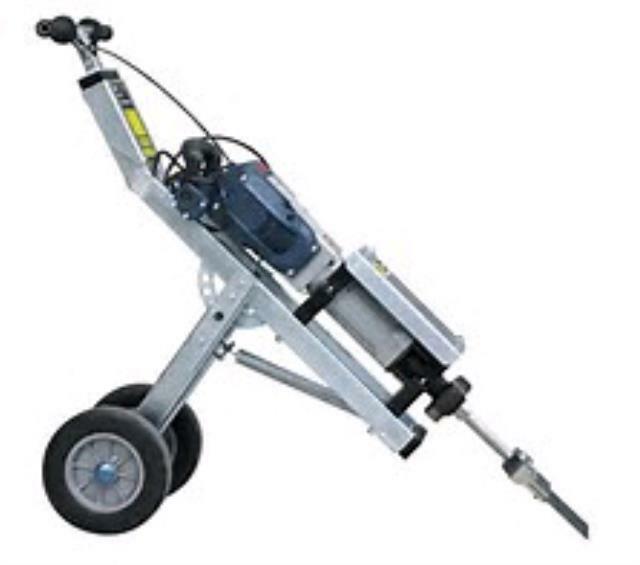 Makinex Jackhammer Trolley Cart for 40LB class electric breakers . A highly productive solution for removing ceramic tile, hardwood flooring materials and other covering removal applications. Allows operators to work in a more productive upright position lessening strain to knees and lower back when breaking thru the higher bond strengths of today's mastics, glue and thin set materials. * Please call us for any questions on our breaker cart 40 lb demo trolley rentals in Portland OR, Gresham OR, Milwaukee OR, and surrounding metro area.